World champion and Olympic Silver Medalist Sissaouri Guivi “Gia" returns along with a visit from a Bulgarian wrestling team at the International-Western Maine Spring Break Camp at Mt. Blue High School. FARMINGTON — It will be an eye-opening experience when aspiring wrestlers mingle and train with an array of worldwide talent at the International-Western Maine Spring Break Camp during school vacation week at Mt. Blue High School, beginning Wednesday, April 17. 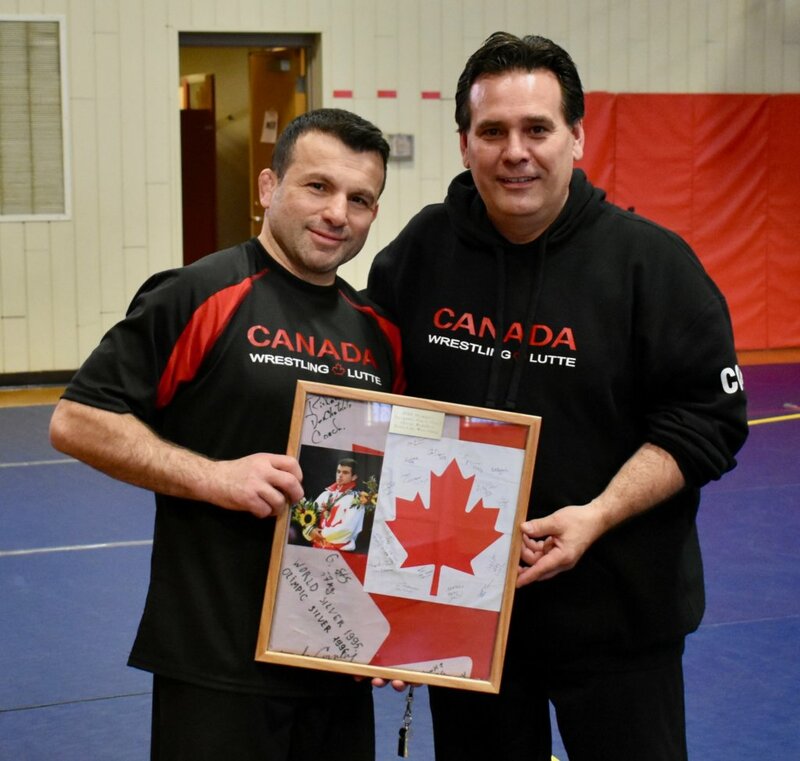 Wrestling camp founder Gregg Loewen is excited to welcome back Canadian silver medalist and world champion Sissaouri “Gia” Guivi for the second year. But another big draw will be a visit from a Bulgarian wrestling team Thursday during the four-day camp. But Loewen has become an old farm hand when it comes to organizing camp. “The first camp was the learning curve. Now it is all tweaking,” Loewen explained. “Gia said that the first camp was the best organized camp that he has participated in. We have cut the cost for campers from $325 to $250, and offering partial scholarships to the (local) Mt. Blue Middle School kids. Loewen and Guivi will have a lot of high-caliber assistance at the camp. “Gia and I have recruited about six to eight elite wrestlers (state champions, New England regional placers, Canadian placers) to augment the coaching staff. This will increase the level of experience of all campers,” Loewen said. Loewen is grateful Guivi decided to make the four-hour ride from his home in Montreal again. With the Bulgarian team on board, young wrestlers will get to see these athletes take it to the mat. “(Portland coach) Tony Napolitano has been running an annual Bulgarian exchange for several years,” Loewen said. “We have been working together for several years now. Tony and his crew are awesome and I want to help with their experience. Napolitano, who runs the Casco Bay Elite wrestling club, said the Bulgarian team is comprised of 12- to 20-year-olds. The camp will also feature a number of participatory events for wrestlers. “The dual meet will be with the campers and the Bulgarians on Thursday evening, starting at 6 p.m.,” Loewen said. “It is open to the public. It is free and any donations received will go to offsetting the costs of the Bulgarians to visit Maine. “We are re-offering a ‘Kids Klinic’ this year, from 6 p.m. to 8 p.m. on Friday evening. It is free to attend and is for grades from kindergarten through eight. Clinics like this are essential to spreading enthusiasm for the sport of wrestling.